As The former Social Development Minister Paula Bennett said in 2011 "As valuable as the arts are to our society, "now is not the time to be turning down available work to follow an artistic dream." But what if we treat art as real work? 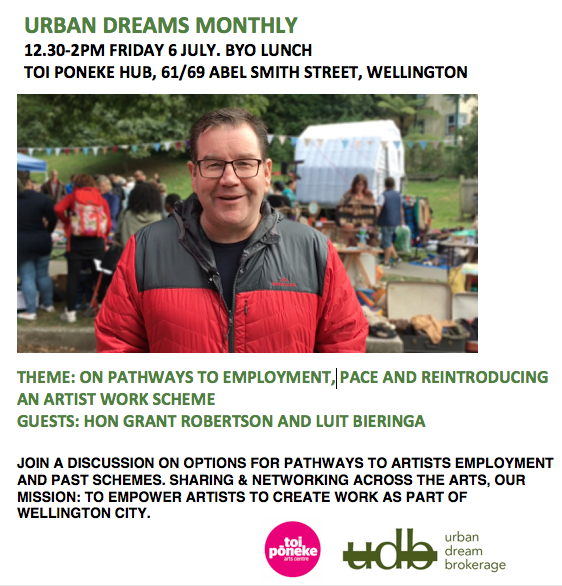 That was the ambition of the last Labour Government’s PACE scheme – Pathways to Arts and Cultural Employment- launched in 2001, which was credited as giving much needed space to develop a career for everyone from Taika Waititi to successful band the Phoenix Foundation. A programme where artists signing up at the WINZ office didn’t need to pretend to want to take on work in another field but could get a benefit in return for proving on a regular basis they were producing and showing their work. Under a national government the scheme dwindled to nothing, but now Prime Minister and arts, culture and heritage minister Jacinda Adern has pledged to explore the best ways to bring back PACE and explore other new pathways for arts employment – which the arts community have lobbied as a desperately needed priority. Over several decades arts tertiary education and arts production has grown exponentially, yet the infrastructure for arts training has arguably eroded. And PACE is by no means the first scheme in New Zealand or internationally to see more artists getting a living wage – schemes in New Zealand run back to the late 1970s and have been fundamental in the careers of some of the leading arts professionals in the country. Who should be responsible and what are the best models? And thinking more widely, what chance of a universal basic income, such as implemented last year in Finland? Something such no-hopers as Mark Zuckerberg, Stephen Hawkins and Elon Musk are all proponents of? In this discussion we bring together Finance, Associate Arts, Culture and Heritage and Sports and Recreation Minister Grant Robertson and Luit Bieringa, documentary maker and former Director of the National Art Gallery and Manawatu Art Gallery, who has assisted many early career arts professionals through employment.